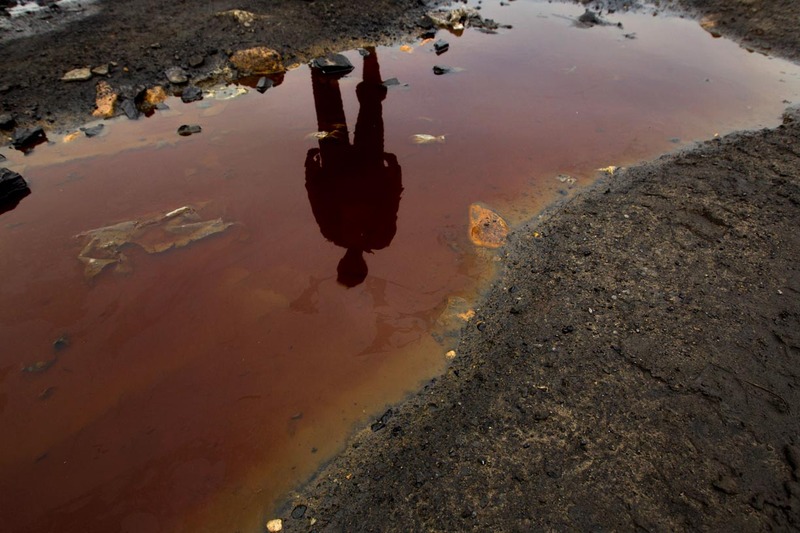 A miner is reflected in contaminated water at a mining site in the Jaintia Hills. Due to its high sulphur content, the coal from the Jaintia Hills is a major pollutant. Coal is commonly dumped on roadways and near bodies of water which has contaminated the water that miners depend on for their sustenance.